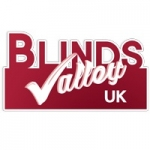 Welcome to Blinds Valley, a Yorkshire based business which has grown providing services throughout the UK for more than 20 years. We are recognised for providing great and excellent service by manufacturing the best made to measure Blinds. All our products are manufactured in the UK, using the best and high quality fabrics. Not only are we recognised for our top quality products but also for our affordable and reasonable prices, making us one of the leading suppliers of made to measure Blinds.... Read more Here at Blinds Valley we aim to provide a complete service, starting from free home visits, presenting product samples, free measuring and fitting, thus making it the complete service.